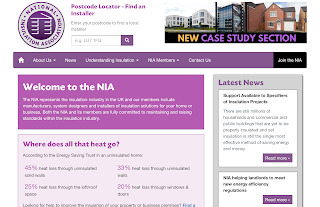 The National Insulation Association (NIA) has launched a new website at www.nia-uk.org for consumers, specifiers, advice agencies, media and its members. The new website is designed to provide visitors with the latest information and advice on the insulation industry, insulation measures for homes and businesses and signpost them to local NIA members who can carry out the work. 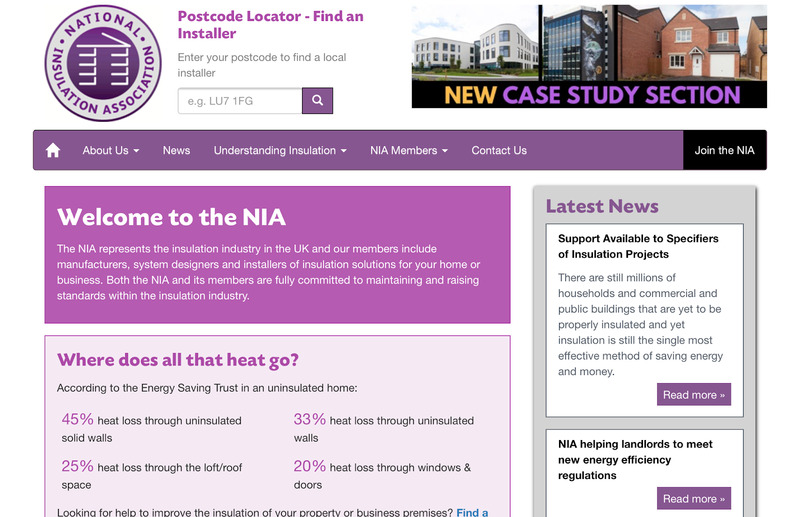 The new, easier to navigate, website includes various features explaining the benefits of insulation including a very handy postcode locator (visible on every page) which lists NIA approved local installers in a member’s directory. It also incorporates a useful Understanding Insulation section explaining the different solutions available and the current schemes available to help pay for measures and a new case studies section which contains details of projects that have been carried out by NIA members. There is also a new member’s area and media section which includes a library of insulation related images for members or the press to use. Neil Marshall, Chief Executive of the NIA commented: “The new website has been designed to provide users with up to date advice and information in a user-friendly, easy to navigate format”.